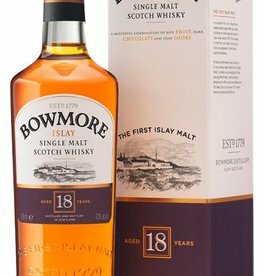 Breathe in classic Bowmore smokiness, perfectly tempered with creamy caramel, chocolate and ripe fruit aromas. Sip beautiful soft fruit and chocolate balanced with a light smokiness - incredibly complex. Savour the long and wonderfully balanced finish.